Válvulas (2 x 6H30). Clase A. Ajuste de ganancia. 6 entradas línea. MD LS26 Line Stage Preamplifier After the REF3 was introduced we were regularly asked when there might be a less expensive preamp with the magic that so captivated everyone who heard the REF3. Hearing the new REF3 made it very difficult to go back to any other preamp. Well, thanks to trickle-down technology, the LS26 is here and it is simply stunning in its musical presentation. The new LS26 physically resembles a downsized REF3, with a smaller vacuum-fluorescent display flanked by knobs for Volume and Input. Under the display are six soft touch switches controlling Power, Mono/Stereo, BAL/SE, Processor (pass-through), Monitor, and Mute. The LS26 maintains all of the LS25's inputs, outputs, controls and functionality, and adds phase inversion via the remote control. The display shows the volume, input, balance (via L-R line graph), and operating status (including BAL/SE, Hi/Med/Low Gain, Mute, Stereo/Mono, Invert, and Tube Hours). There are eight levels of illumination for the display, plus off. Like the REF3, inputs are direct access and there are discrete codes for power on/off, processor, and other functions, so it will be easy to integrate the LS26 with system controllers from companies like AMX or Crestron. The rear of the LS26 includes a 12V trigger and a 15A IEC connector. All inputs and outputs are both SE and XLR. The LS26 also incorporates the REF3's high headroom volume control with 104 steps. Setup information and Tube Hours are "written" to the microprocessor, so even if it is unplugged, the LS26 will remember settings for each input including BAL/SE, Mono/Stereo, Hi/Med/Low gain setting, Invert, etc. The LS26 benefits from many enhancements passed down from the REF3, including new proprietary parts, special damping, and other design elements. The LS26 is pure Class-A with zero feedback, the power supply is massive and fully regulated, frequency response extends to 160kHz, input headroom has been increased by 71%, and noise is vanishingly low, allowing the LS26 to be used in noise-sensitive applications. Gain is provided by two long-life 6H30 triodes, so maintenance costs are low. 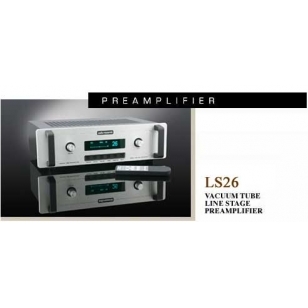 With its low output impedance, the LS26 will easily drive virtually any amplifier you would care to use. The LS26 sounds like a REF3 on a slightly smaller scale, sharing an uncanny ability to grab you and make you want to listen to whatever is playing. The musicians are there, performing for you, without hype. The soundstage is expansive, everything within it properly proportioned, focused and grainless. There is a natural, expressive dynamic life that is captivating: quiet passages whisper and loud passages are startling. Like the REF3, there is a directness and immediacy that connects the listener with the performance. The LS26 outperforms the vaunted REF2MKII. We are delighted to offer a world-class preamplifier with great flexibility, intuitive controls and many of the REF3's sonic attributes at a price within reach of so many more music lovers. Be sure to audition one soon at your authorized Audio Research dealer. 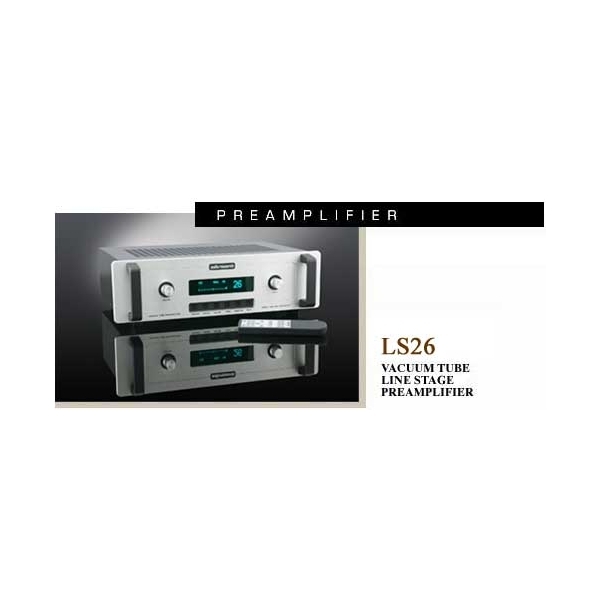 LS26 Specifications: FREQUENCY RESPONSE: +0-3dB, 0.2Hz to 160kHz at rated output (Balanced, 200k ohms load) DISTORTION: Less than .01% at 2V RMS BAL output. 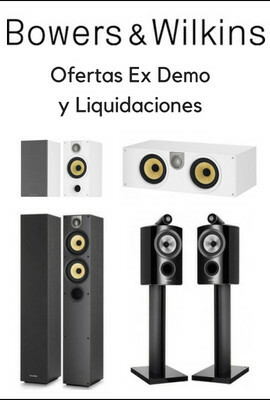 GAIN: Main Output : Selectable for each input: 24dB, 18dB, 12dB Balanced output. (18dB, 12dB, 6dB SE ouput.) Record output: 0dB (Processor input: 0dB balanced.) INPUT IMPEDANCE: 120K ohms Balanced, 60K ohms SE . Inputs (8): Tuner, Phono, CD, Video, Aux 1, Aux 2, Monitor, Processor (XLR and RCA connectors). OUTPUT IMPEDANCE: 700 ohms Balanced, 350 ohms SE Main (2). 20K ohms minimum load and 2000pF maximum capacitance. Outputs (3): 2 Main, 1 Record (XLR and RCA connectors). OUTPUT POLARITY: Non-inverting. MAXIMUM INPUT: Low Gain: 48V RMS BAL, 24V RMS SE, Medium Gain: 24V RMS BAL, 12V RMS SE, High Gain: 12V RMS BAL, 6V RMS SE. RATED OUTPUTS: 2V RMS 1Hz to 100kHz into 200K ohm balanced load (maximum balanced output capability is 15V RMS at less than 0.5% THD at 1kHz) CONTROLS: Rotary volume selector (104 steps) and rotary input selector. Push buttons: Power, Monitor, BAL/SE, Proc, Mute. Also remote buttons: Display, Bal L, Bal R, Hours, Invert, Gain. POWER SUPPLIES: Electronically-regulated low and high voltage supplies. Automatic 50 sec. warm-up/brown-out mute. Line regulation better than .01%. NOISE: 1.3uV RMS residual IHF weighted balanced equivalent input noise with volume at 1 (100 dB below 2V RMS output). TUBE COMPLEMENT:2-6H30 dual triode. (Hybrid JFET/tube audio circuit, solid-state power supply). POWER REQUIREMENTS:105-130VAC 60Hz (210-260VAC 50/60Hz) 50 watts maximum. DIMENSIONS: 19" (48 cm) W x 5.25"(13.4 cm) H (standard rack panel) x 12"(30.5 cm) D. Handles extend 1.50" (3.8 cm) forward of the front panel. WEIGHT: 16.5 lbs. (7.5 kg) Net; 26 lbs. (11.8 kg) Shipping. Specifications subject to change without notice.